Ken ran track and cross country in high school and played soccer in college. In 2001, Ken decided to do the Seagull century on the Eastern Shore of Maryland but during training for this event, his hybrid bike’s rear wheel locked up. While waiting for the repairs to be made he bought a used a Litespeed Natchez so as not to lose any more valuable training days. This was the start of several years as a recreational road rider with the Potomac Pedalers club. He discovered the Tuesday/Thursday evening Laytonsville ride. This hammerfest inspired him. A typical entry in his ride journal was: “Got dropped at mile 6.7 $%%! @#$ I have to do better next week”. He started racing four years ago and showed some promise by finishing in 5th place twice in the Greenbelt, Maryland training series in the beginner’s C class race. After two full years of racing without any success as a cat 4 racer, Ken hired Kenneth Lundgren as his coach at the start of the 2011 race season. With an improved diet and some ‘challenging’ interval work, he did a sub 59 minute 40K time trail and had some top third of the pack finishes in some road races. Ken has raised his two biological daughters Nicole and Sara and the children of his former spouse Gabe and Leila. He even helped out for a couple of years with his fiancée’s youngest son Kevin who is now in college. 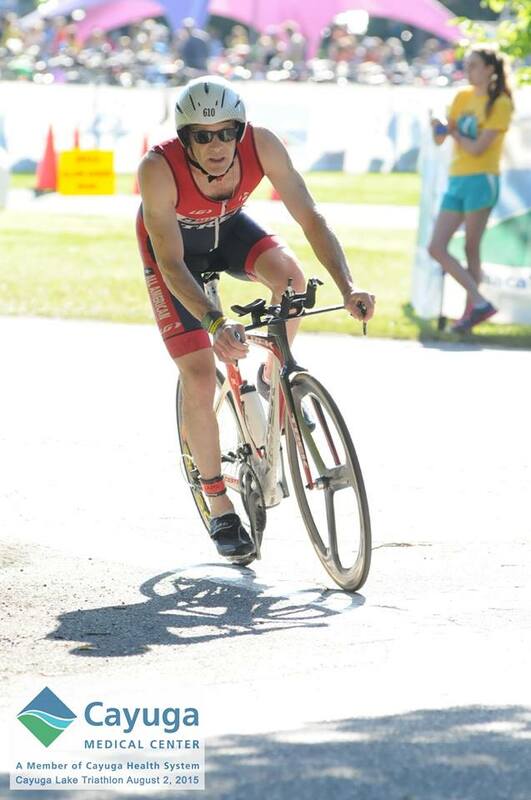 1st overall bike section at Dewey Beach Sprint Triathlon out of 400 men/4th in my age group. August Results: Time Trials, MTBs, Road Racing & Tri – OH MY!